If you have damaged or infected teeth, but you’re not convinced removing and replacing them is the right move, consider endodontics. 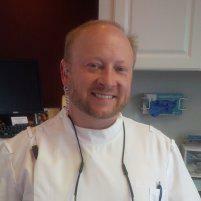 This branch dentistry is all about treating the inner tooth and saving your natural smile. The caring professionals at Robert F. Wilcox, DMD, PC, located in Butte, Montana, are experienced in this field, and ready to apply their expertise to your case. To schedule an appointment, call or book an appointment online today. Endodontics is a branch of dentistry focused on disinfecting damaged, diseased teeth from the inside out in order to preserve as much of your natural tooth structure as possible. Endodontists have specialized dental training that has taught them how to diagnose tooth pain and how to perform procedures related to the inner tooth, especially root canals and rotary root canals. Why should I save my teeth instead of getting them replaced? A root canal is a procedure that qualified dentists perform in order to treat an infected or damaged tooth nerve. The nerve can become damaged due to an oversized cavity or from trauma. The tooth nerve is found inside tissue called the pulp, which is located in a chamber in the middle of the tooth. If left untreated, an infected or damaged pulp can develop into an abscess. To save your tooth, Dr. Wilcox uses a tool to access the inside of your tooth and carefully remove the infected or damaged pulp. Once he gets the pulp out, he cleans and disinfects the tooth. Next, he seals the newly cleaned area with an inert rubber substance called gutta-percha to prevent bacteria from penetrating the inner tooth. Finally, he restores the tooth to its former appearance and function using a crown or filling. Unlike the infamous root canals of old, modern root canals are relatively pain-free and quick. Dr. Wilcox can perform the whole operation over one or two sessions, depending on the state of your tooth and your other requirements. What is a rotary root canal? A rotary root canal is root canal performed using a flexible, intuitive electric hand tool. Hand tools like these feature sensors that can locate the tip of the root more easily than traditional x-rays. Endodontists have been using these tools since the 1990s. They make your root canal therapy faster, easier, and less likely to cause pain. Have you been experiencing tooth pain, or do you have damaged teeth that you’d like to save? If so, schedule an endodontics consultation at Robert F. Wilcox, DMD, PC, and Dr. Wilcox and his team will be with you every step of the way. Reach out today over the phone or via the online booking tool.